Listen to “Song of Life” while you read. 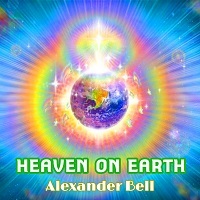 More music by Alexander Bell. We are collectively in the process of lifting our consciousness out of the darkness, the shadows created by thought that we have dwelled in for such a very long time. And the only thing that has ever kept us there is fear of what lies beyond the known. There is a phrase: “better the devil you know”, which means that it is better to know, than not to know, even if what you know is terrible! Yet this is completely inaccurate and very misleading, because some things simply cannot be known in the way that we are used to knowing things – through our mind. Is it still better to know, if knowing keeps you stuck on a superficial level of reality, ignorant of the beautiful deeper realms of your being? It is like swimming in the ocean. We can see what is on the surface, and this brings us some security. But we simply do not know what exists below the surface. It is impossible to know what is in the depths, but if you are in the water, you must trust that you are safe, otherwise you would panic and drown! We all exist in the vast waters of consciousness, and our most important task is to trust that we are safe and that the strong current is carrying us to where we want to go. We all want to return to the place our heart knows is home – a place of peace, light and joy. Our mind cannot take us there. We cannot bring our thoughts with us on the journey, even if they give us a sense of security. We need to be light and free of unnecessary baggage. Therefore, trust is needed. It is essential. When we trust, we relax, or vice versa: if we relax our body, we are saying “I am not anxious, I am not worried, I feel safe.” This is a very important statement to make, because it influences your entire experience of reality. When we relax, our entire being begins to harmonise with the higher invisible energies of the universe, the galaxies, the stars, the planets, the Earth and all that exists on Earth. There is a deeply harmonious invisible force that is absolutely everywhere, and your primary purpose is to harmonise with it, so that you are no longer lost in the illusory realms of disharmony and suffering. 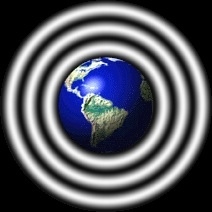 This is Reality, this harmonious, loving, conscious energy which flows through the natural world. You need only to go out into nature to feel it. Mother Nature will soothe you, speak to your heart, and remove your fears as she reminds you of the deeper truth of life, which only the heart can know. So strengthen your heart, with healthy food, relaxation, time in nature, loving relationships, laughter and happiness. There is nothing to fear. The depths are beautiful beyond words. Please consider making a donation to support Alex’s non-profit peace work.